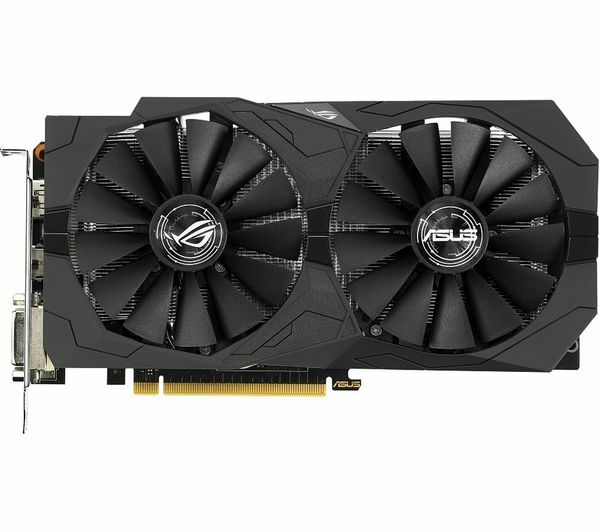 The GeForce GTX 1050 Ti 4 GB Strix Graphics Card features DirectCU II technology with direct-GPU contact heatpipes that transport more heat away from the GPU. This ensures an improved 30% cooler performance for a quieter gaming experience. Dual wing-blade fans deliver the maximum air flow whilst letting you enjoy your favourite games in complete silence. 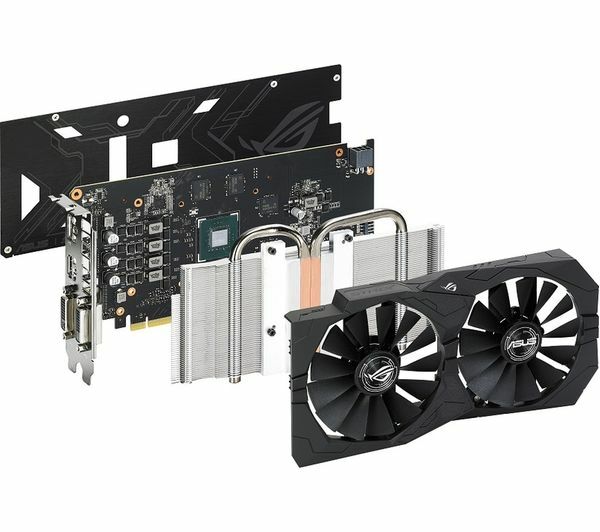 ASUS FanConnect lets you connect a 4-pin GPU-controlled header to the system fan for targeted supplemental cooling. 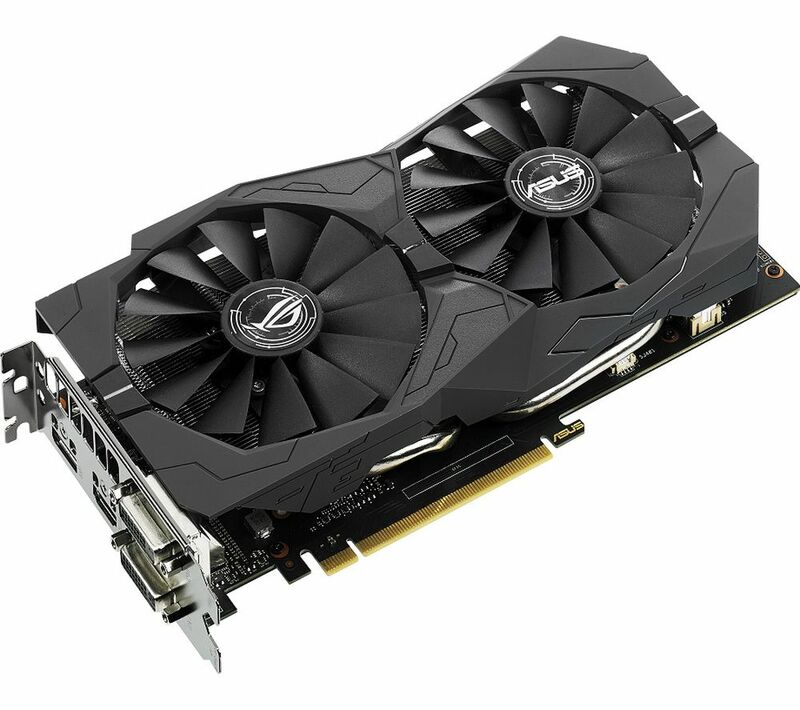 ASUS graphics cards are produced using Auto-Extreme technology, a 100% automated production process that ensures consistent quality as well as improved performance and longevity. 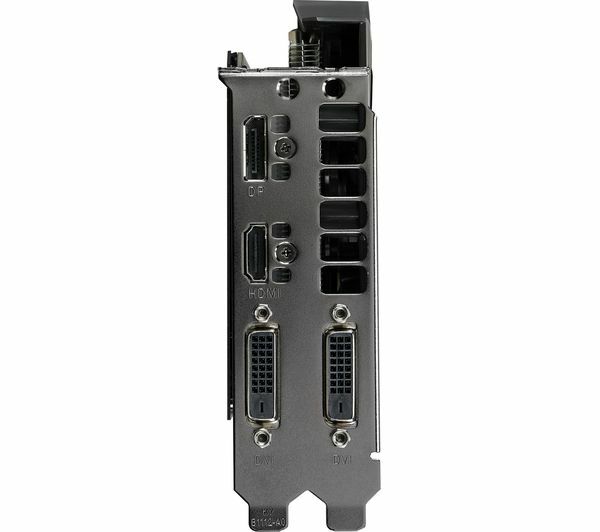 Premium alloy components improve the overall reliability of the graphics card, reducing power loss and achieving lower thermal levels than previous designs. By synchronising the ROG Swift gaming monitor's refresh rate to the GPU, NVIDIA G-SYNC eliminates screen tearing and minimises display stutter and input lag. This allows for smooth and visually immersive gaming experiences that can give you the competitive edge over your opponents. GPU Tweak II makes overclocking easier whilst also offering advanced options for experienced gamers. The new Gaming Booster function maximises the system performance with a single click, allocating all available resources automatically for smooth and enjoyable gameplay. The GeForce GTX 1050 Ti 4 GB Strix Graphics Card features Aura RGB lighting, meaning that it can display millions of colours and six different effects for a truly unique and personalised gaming system.